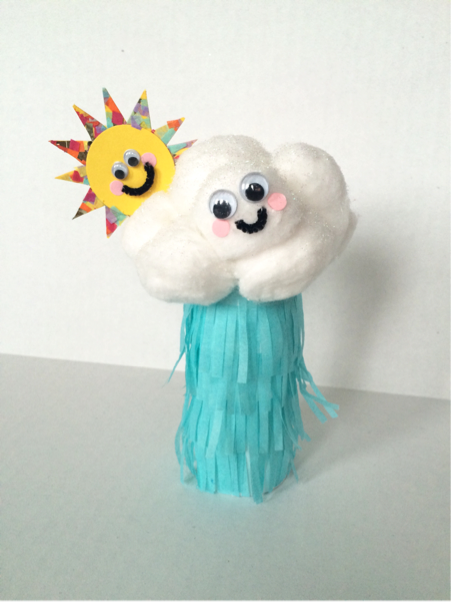 This little spring rain cloud is so not a sad one, it's 'cause he's here to wash away all of the snow and prepare the flowers for their seasonal arrival. 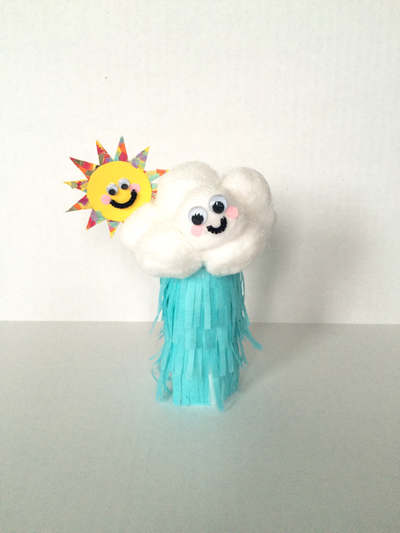 Cotton balls and a beautiful light blue tissue paper are the stars of this craft. 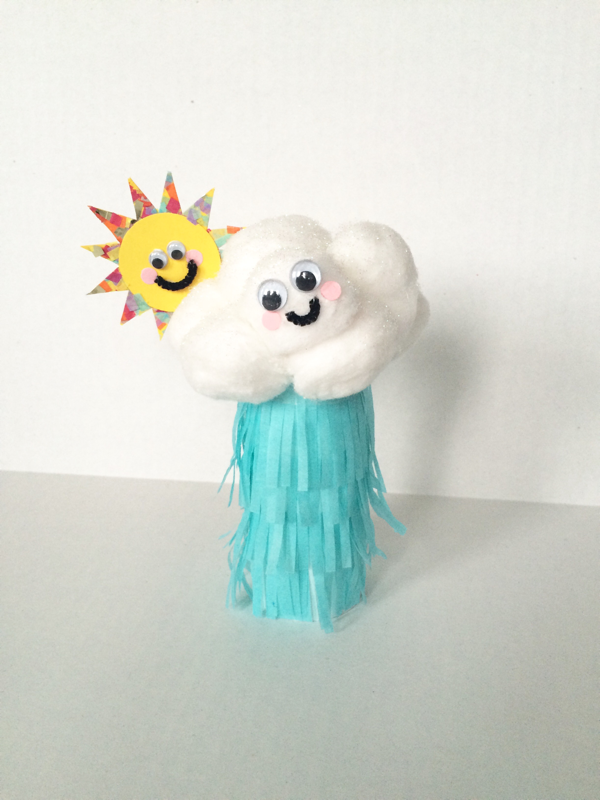 What if you made all of the weather elements to go with him, a storm? A tornado? A blizzard? Oh I'm getting ideas! You can find the full tutorial here at hellowonderful.co.